Centsible Savings: Free Rita's Italian Ice Tomorrow (March 20)! 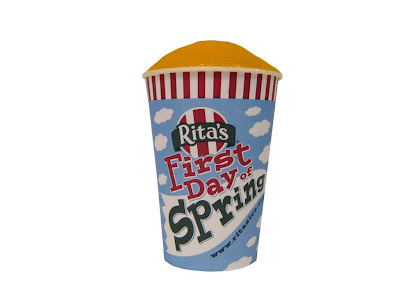 Mark the first day of Spring with a free Italian Ice from Rita's tomorrow from noon to 10 pm at participating locations. (More details here.) Find your closest Rita's here, then give your local store a call first to make sure they're participating.